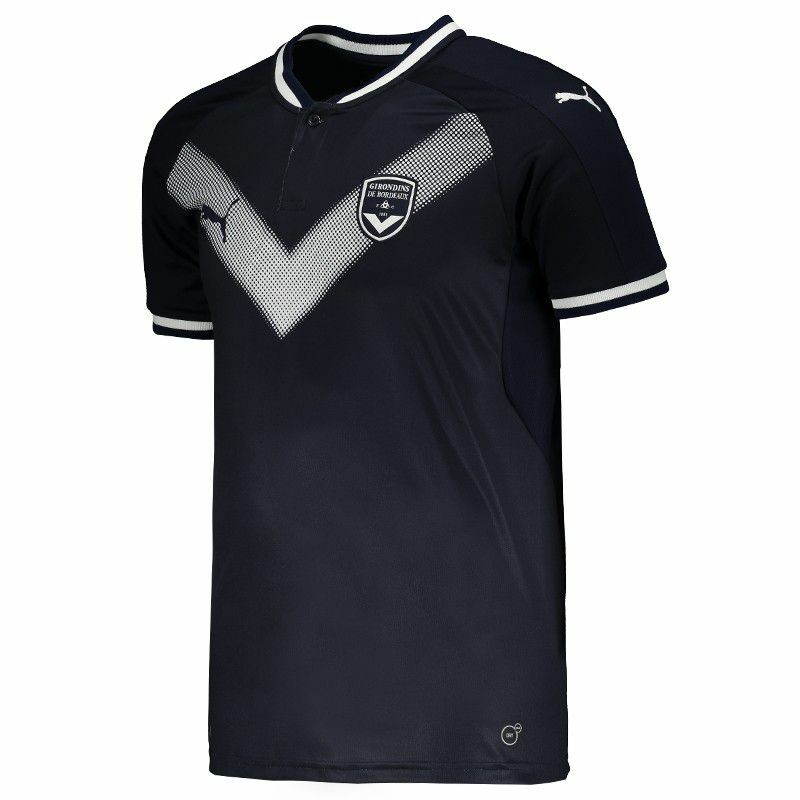 Produced by Puma, the home jersey of Bordeaux for 2018 can be customized with name and number in the official team font. The piece is made of lightweight polyester and features Dry Cell technology. 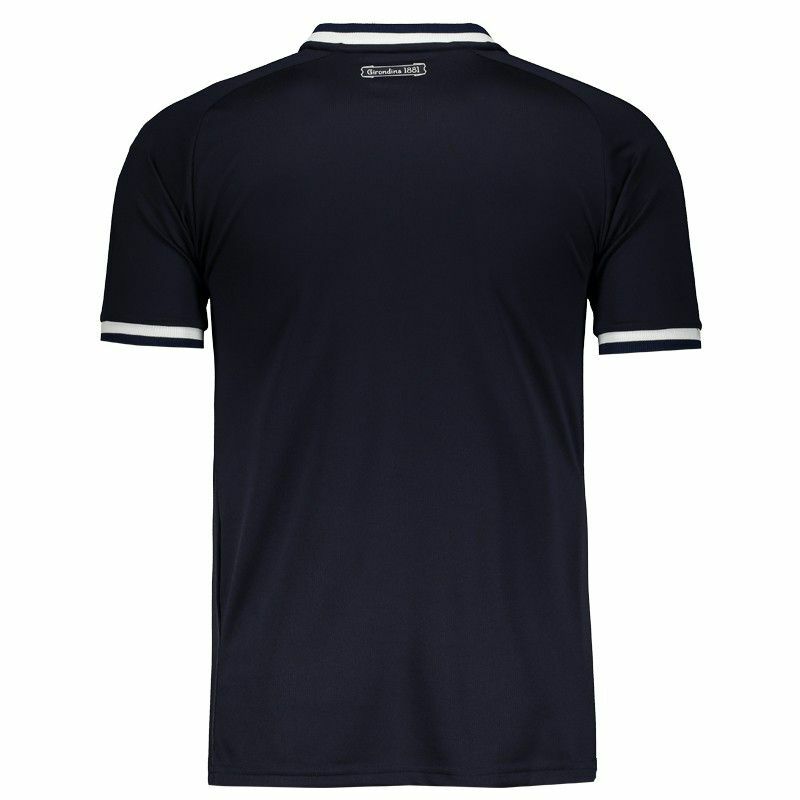 Its design has a navy blue color as its predominant color. More info. 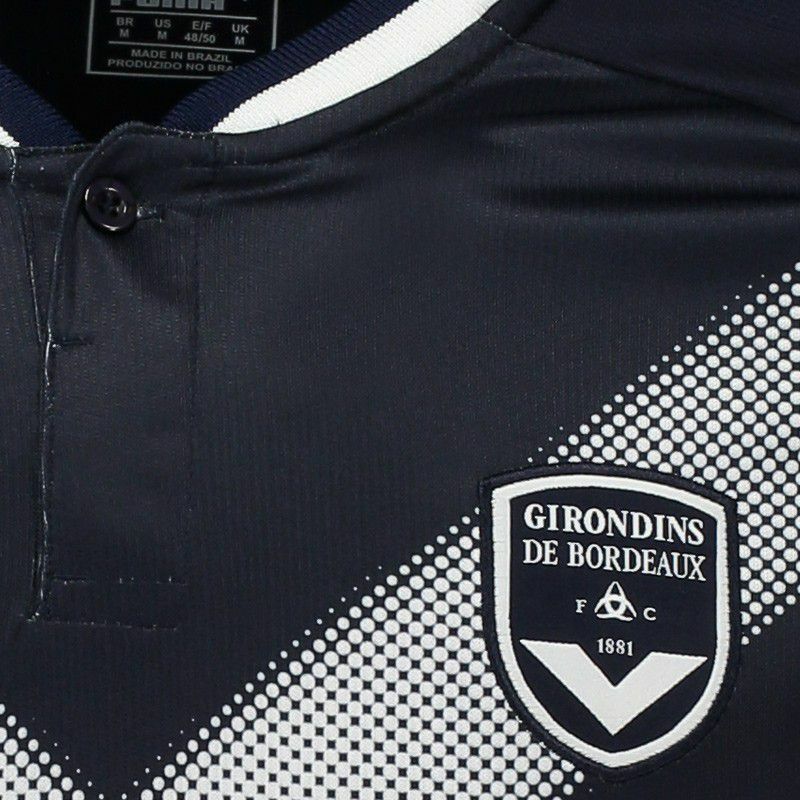 Produced by Puma, the home jersey of Bordeaux for 2018 can be customized with name and number in the official team font. The piece is made of lightweight polyester and features Dry Cell technology: which contains functional materials that keeps the sweat away from the skin and keeps you dry and comfortable. 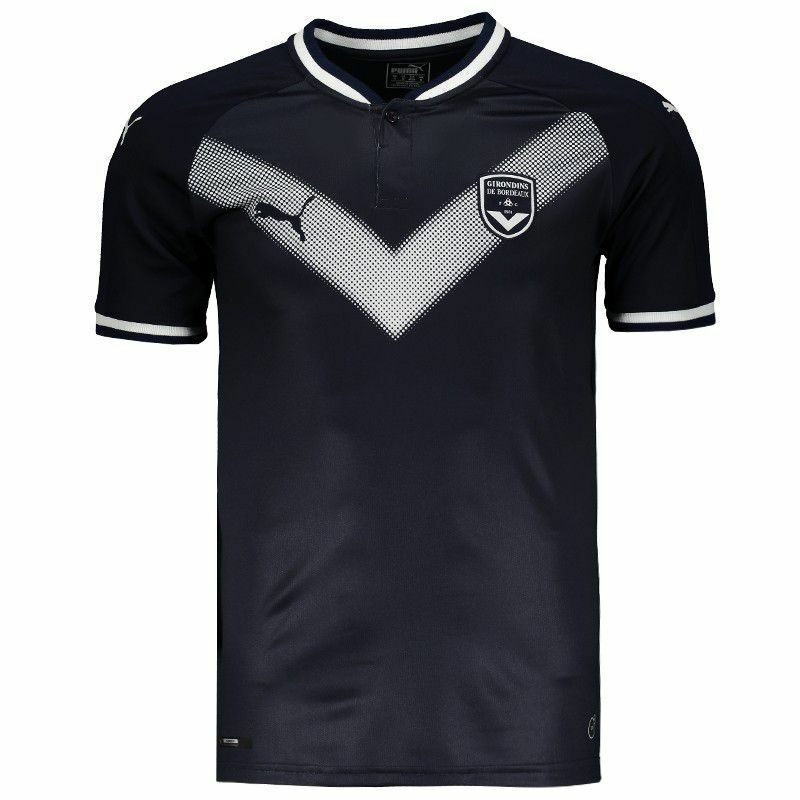 Its design has a navy blue color as its predominant color, and there are still white details, as can be seen in the traditional Girondis model, which features the V in the region of the chest, formed by gradient dots. Still in the frontal region, the team's badge marks the embroidered presence on the left side, on the opposite side the logo of the supplier's brand is seen. In addition, the sleeve cuffs ribbed finish provides better fit to the body. Finally, the crew collar has a distinctive cut with a button, which complements the details, adding even more style to the piece. Founded in 1881 in France, Bordeaux began with various sporting practices, but soccer only began to be practiced around 1919. The team has a lot of tradition in the fields, was six times French champion, once champion of the cup of the Alps, intertoto UEFA Cup, among other titles.